Jacqueline Mars is the granddaughter of Frank C. Mars and the daughter of Forrest Mars, Sr. Mars, who were the founders of Mars, Incorporated. Forbes ranked her as the 18th Richest American and 36th Richest Person In The World. Mars is one of the top 5 largest privately held companies in America. Mars, Incorporated is known for manufacturing several popular confectionery items like Milky Way, Snickers and the Mars bar. The company also produces non-confectionary items like Combos, Uncle Ben's Rice and Domino. Fran Mars, Jacqueline's grandfather started making chocolates in the kitchen of his home. Her father expanded the business introducing innovations like malt-flavoured nougat. Although Mars has grown exponentially, it still remains a family owned business. Mars graduated school from Miss Hall's Scholl in Massachusetts and graduated with a degree in anthropology from Bryn Mawr College. She was married to David H. Badger in 1961 and has three children. Badger and Mars were divorced in 1984. Mars got married two years later to Hank Vogel and divorced in 1994.Jacqueline Mars along with her brothers John Franklin Mars and Forrest Edward Mars Jr took over the family business after her father died in 1999. John is the CEO of the company while Mars herself was made the Corporate Vice President of Mars Inc. No one from the Mars family currently holds any executive position in the company. Mars made the headlines due to her driving mishap. She struck a Chrysler carrying six passengers on 4th October 2013. Among the four passengers was an 86-year-old woman who died on the scene and eight months pregnant who subsequently suffered a miscarriage. Mars pleaded guilty and expressed regret for the event. Ellisor's relatives requested judge not to incarcerate Mars and revealed that they have forgiven her. The judge did not incarcerate Mars and ordered her to pay a fine of US $2500 and suspended her driving license for six months.Mars' net worth, as estimated by Forbes is $20.3 billion. Among her several philanthropic contributions are donations to National Symphony Orchestra and Australian Outback doctors. An avid horse lover, she sits on the board of the U.S. Equestrian Team Foundation. Mars also owns a farm that specializes in organic farming. She has three children and six grandchildren. Although not publicized widely, Mars has played a pivotal role in several conservation initiatives like at the Kennedy Centre, the Washington National Opera, the National Museum and the Piedmont Environmental Council. She was also awarded the Foundation for the National Archives' Heritage Award. 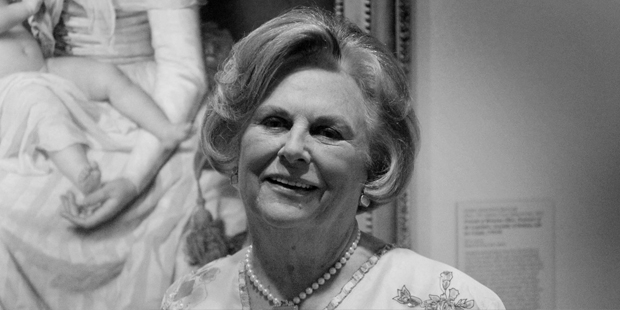 The net worth of Jacqueline Mars, as estimated by Forbes is $20.3 billion. She contributes to different causes through her philanthropic initiative Mars Foundation. Among her several philanthropic contributions are donations to National Symphony Orchestra and Australian Outback doctors. A horse lover, she is the Vice President of the U.S. Equestrian Team. Mars' current wealth is not just the accumulation of what was handed down to her as an heir to Mars business. Hard work, discipline and a keen sense of business is what makes her one of the most successful contemporary businesswoman.